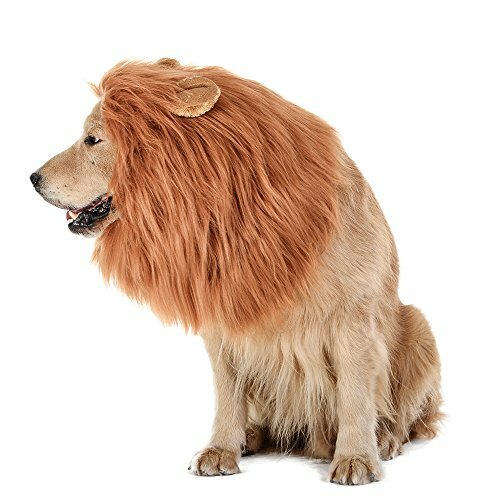 About the productThis Lion Mane wig costume can transform your common pet into the King of the Jungle, it is simply amazing and attractive for your large dog to wear which would bring smile on your face. This cheap and cute accessory is very comfortable and never causes irritation for your pet. 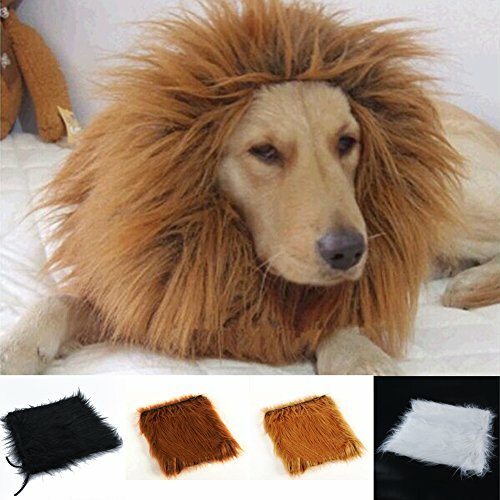 You can use these Dog Wigs during party as well as festival costume such as Christmas and Halloween. It is washable and lightweight. It can be used conveniently for your pet animal during travel or for photo shoots. 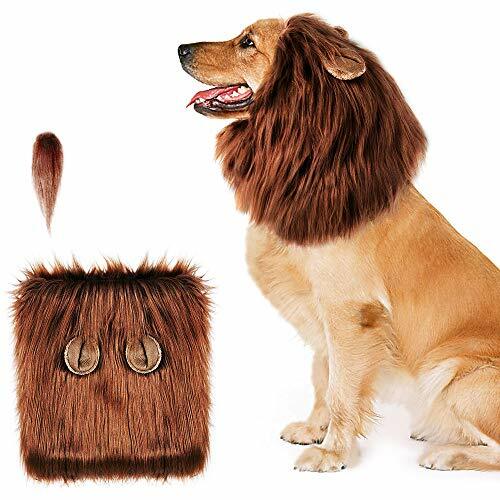 You will like it when your pet's lion look becomes the center of attraction for all. You can gift it to your loved ones. Wrap it and present when and where needed for your family and friends who grow large pets. It will be eye catchy to watch your pet wag its tail while wearing this costume. 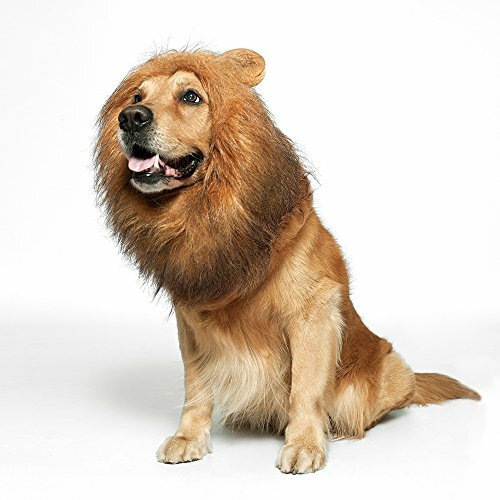 This lion costume would steal the show while you take your pet outside to vet or to trainers at training center. * Material: faux fur and polyester * Adjustable elastic band to put it on. 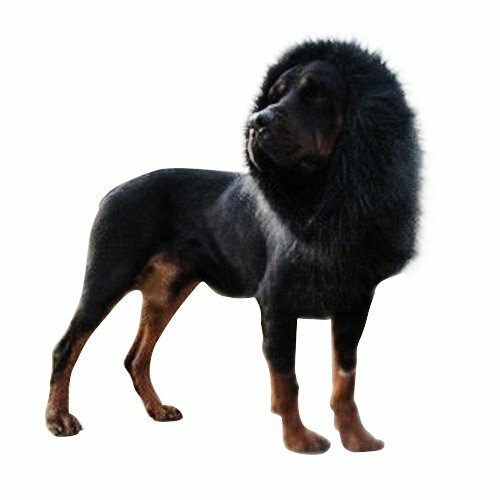 * This unique lion wig is perfect for large or medium dogs. * Perfect for halloween christmas cosplay parties,holidays or festivals,also can keep warm in winter. * Your baby will win a lot of admiration when wearing this costume walking on the street. With Rubie's Costume Company, every member of the family can dress up all year long! Dogs will be ready for parades, parties, or just having fun. Designed for the fashion forward pet, Rubie's pet costume collection features hundreds of non-licensed and licensed costumes including: star wars, batman, superman, hello kitty, Ghostbusters, Elvis and the Wizard of Oz. The vast selection of pet costumes extends beyond Halloween to other special occasions such as Easter, 4th of July, St. Patrick's day, Christmas and more! in addition, the unique line of accessories includes wigs, hats, tutus, bandanas, wings and hair bows. From princesses and pirates to hot dogs and tacos, each Rubie's costume is carefully constructed for comfortable fit and is available in a variety of sizes ranging from XS to XXL. Rubie's Costume Company has been creating costumes since 1950, of course they'd remember your pet. Color: Brown/ Light Brown/Black. Flavor:With ears/No ears. Material: Polyester and. Type: Wig costume Suitable pet. 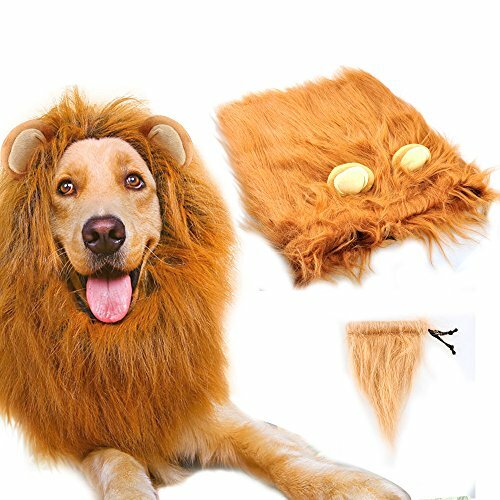 Size: One size fit for dogs head circumference below 26Inch/66cm, Length About 35cm. 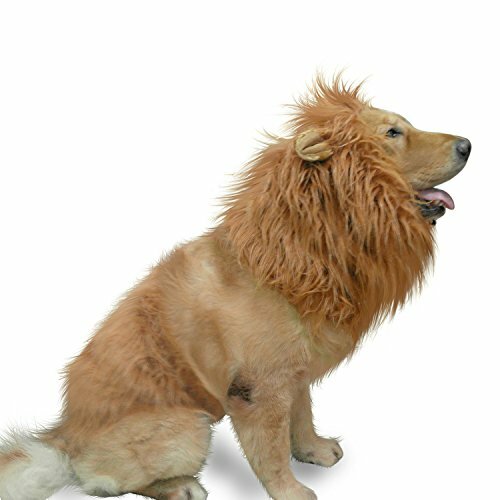 Dog Features: When you're planning to get something for your pup that can make him look elegant at any Halloween or Christmas party, your best bet is to buy a Lion Wig for him out of many pet supplies. Please Wash in Cold Water Do Not Wash in Hot Water , Please be extremely careful when adjusting the elastic band. - It will be very hard to get out if pulled inside the wig. Make sure you tie it dead at desired size for your dog before wearing it. Package Include: 1 x Lion Mane Wig . My precious lil chihuahua is going BALD *gasp* so I bought her some WIGS off Amazon! 📷 https://www.instagram.com/cybernova/?hl=en 🎮 My Gaming Channel 🎮 https://www.youtube.com/cybernovagames Royalty Free Music 🔊 Kevin MacLeod https://incompetech.com/ I love discovering weird new trends and trying them out for myself! If there's anything you'd like to see on the channel, leave a comment! I read everything 👀 Have a stellar day! http://www.PuppyCityNY.com. 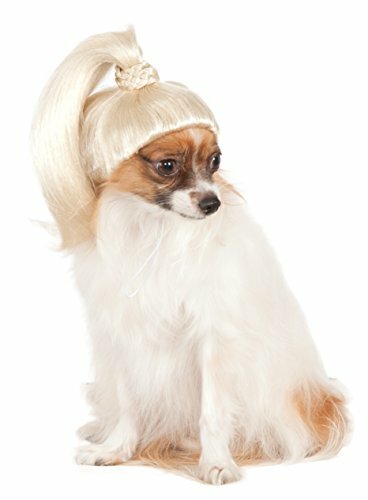 Check out these dogs in wigs! Puppy City has been around for over 50 years, we pride ourselves in being the home for quality puppies. Call today! 718-332-3400 or visit our website for instant puppy discount codes!